Among the memorabilia I brought back from my Mom’s house was my on set of teen age purchased vinyl LPs, but also about eighteen 78s that I had always remembered sitting on the shelves in our basement. 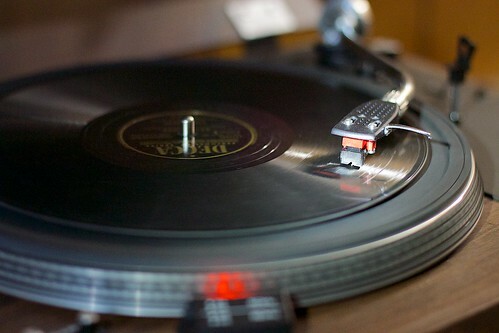 Any flat disc record, made between about 1898 and the late 1950s and playing at a speed around 78 revolutions per minute is called a “78” by collectors. The materials of which discs were made and with which they were coated were also various; shellac eventually became the commonest material. Generally 78s are made of a brittle material which uses a shellac resin (thus their other name is shellac records). During and after World War II when shellac supplies were extremely limited, some 78 rpm records were pressed in vinyl instead of shellac (wax), particularly the six-minute 12″ 78 rpm records produced by V-Disc for distribution to US troops in World War II. 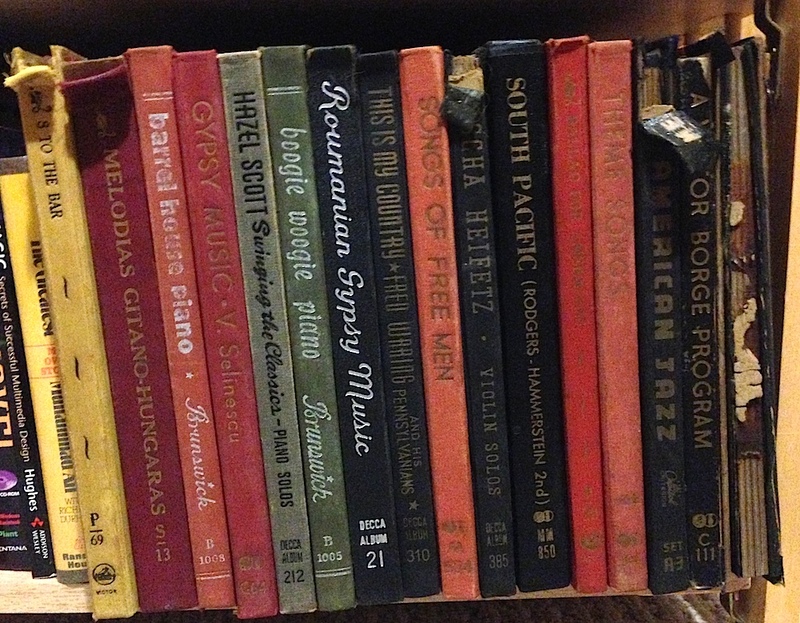 That bit is from the Yale Library History of 78rpm Recordings. Now with my old MacBookPro set up for digitizing from the turntable, I have been curious to try one of the old discs. There’s a bit of a trick, since my turntable does 33 and 45 rpm speeds. I found the answer in a MacWorld article Ripping 78 RPM records to Mac. I record them into Audacity at 45rpm, and then use the Change Speed Effect to adjust to the proper rate. The article also recommended doing noise removal since there is quite a bit of scratch in there. I did the first side as an experiment, and then did the rest of them (there are usually 8 sides in a collection) by pausing the Audacity recording between discs. This way I could do the adjustments to all the tracks. 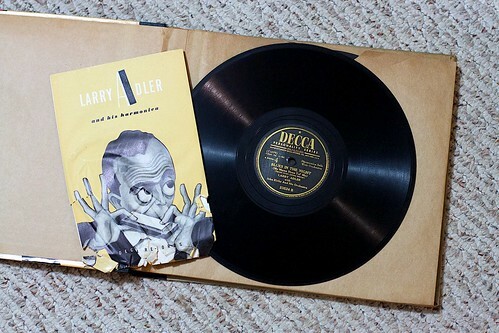 The one I chose, without much rhyme or reason, is Larry Adler and His Harmonica, Decca Records (1946). I’ve “ripped” all 8 sides, keeping a master in Audacity format, and exporting each track as a Variable Bit Rate MP3 (in the neighborhood of 200 Kbps). While I write like I know what I am talking about, I don’t. The noise removal effect can leave some artifacts. And I always seem to mess up the editing when trying to find the separations between songs. But here goes, all of Larry Adler’s tunes. Perhaps I chose this since I have aspirations to play the harmonica…. 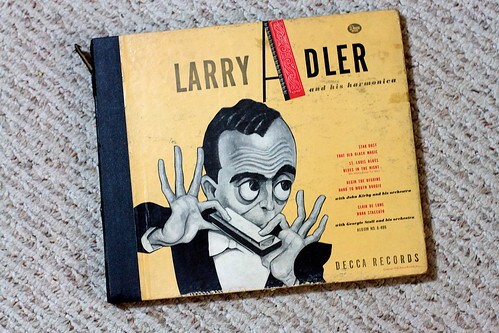 Larry Adler, playing an instrument which has heretofore been thought of principally as the musical toy of boyhood, has raised the harmonica to the level of a virtuoso’s concert instrument. He is the one person in the world who has appeared as a soloist playing the mouth organ in concert with symphony orchestra. The other connection is that like me, Adler hails from Baltimore, but traveled far from there. It is a far cry form the ragged urchin routine to the white tie and tails performance before President Roosevelt, the two most recent English Georges and their Queens, Kings Haakon, Gustav, Alfonso, the Windsors and Kents. And it is a long way from Baltimore to Cairo, but Adler has bridged the gap with a universally accepted talent. Then again, I never lived the “ragged urchin routine”, but like Adler, my music entrance was via the blues. Lawrence Cecil Adler was born in Baltimore Maryland. When he was two, he wandered away from home one day and was found by his father, standing on a table in a downtown poolroom, singing a song called “I’ve Got Those Profiteering Blues,” while the enchanted patrons stuffed his rompers’ pockets with money. Such the young entrepreneur, age two getting his “rompers” stuffed. At thirteen, after an unsuccessful interim in the Peabody Conservatory of Music, Adler entered a Baltimore Sun harmonica contest and won first prize. All other contestants confined themselves to “Turkey In The Straw” and other songs of that ilk, but Adler amazed and gratified the judges by playing a Beethoven Minuet. 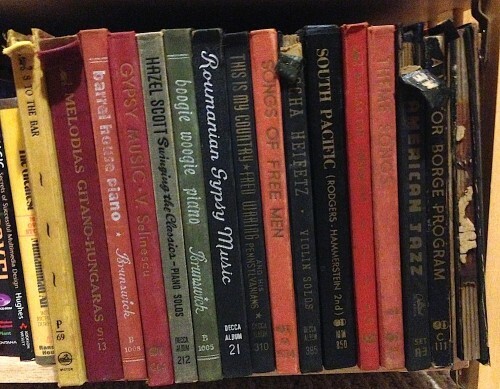 Until 1941, Adler learned all his music by ear from phonograph records, and he can still play a long musical selection correctly after only two hearings. Poor kid, he lacked a MOOC to learn music from…. Adler appeared in torn knickers and ragged clothes in various New York musicals until 1934 when, at a Palace Theatre engagement, he appeared in a well-cut dinner jacket. C. B. Cochran, a British producer, was impressed and engaged Adler to appear in a London revue. A well-cut dinner jacket is the difference. Adler’s London success was a turning point in his life. He played for royalty; he had an entire revue written about him. Fan clubs totaling a million Adler devotees sprouted up all over England; harmonica sales increased two thousand percent after his arrival. He appeared at important recitals; music was written especially for him, and William Walton, the delightful composer, was moved to say Adler was one of the two ‘young musical geniuses in the world'”. Now those are some growth metrics, harmonica sales up 2000%! It was a strange letdown to return to America at practically his previous status. However, one night club engagement led to lucrative offers and Adler fully “arrive” when he begain to play classical music. And here is it is, all sides of this 78rpm set. You can learn more about Alder in Wikipedia. He passed away in 2001 at an age of 87, and more details of his life surface at the article on him on the New York Times. Adler was labeled a Communist sympathizer in 1948, losing his ability to make a living in America (where he had made $200k before) and that was the reason for his return to the UK. Although a self-described ”left-minded kid,” Mr. Adler steadfastly denied he had ever supported the Communist cause but refused to take a loyalty oath or mute his criticism of the House Un-American Activities Committee. ”I can’t understand Marx,” he said in 1971. ”Communist literature, brochures and stuff didn’t mean anything to me.” But he continued to insist that imagined or even real Communists should not be deprived of their ability to earn a living, since being a Communist was not against the law. I have quite a few more to digitize, but I also have a greater length by 2 of my own rock and roll records to get into the digital realm.